This lovely little woodland, perched on the side of the River Eiddon gorge, is a slice of paradise in beautiful Welsh countryside. The day we visited was a beautiful sunny one in late November, and despite the lateness in the year the woodland was full of the sound of birdsong - a timely reminder of how vitally important our woodlands are to the survival of resident bird populations, as well as the summer migrants, and the countless other creatures that live in them. 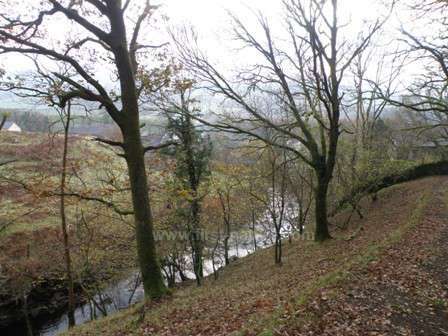 In this reserve be prepared for steep and slippery paths with lots of gates and stiles. If you approach the woodland from the right hand side of the stream (as you walk up the valley) you will need to cross the river via a ford in order to enter the woods, and so your footwear needs to be waterproof as well suitable for rough terrain. 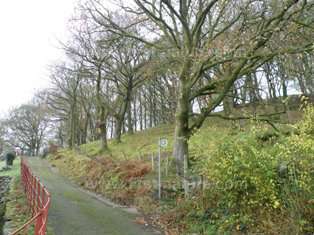 The reserve is managed by Natural Resources Wales (NRW). 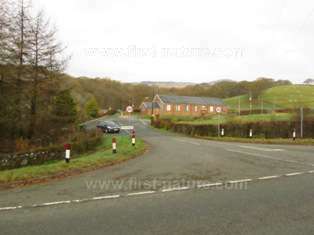 From Dolgellau take the main A494 road in the direction of Bala and turn off towards Rhydymain. There are two exits to the left from the A494 for Rhydymain - take the second one and immediately you will see a large layby on the left-hand side of the road. Park there, because there is very little parking available in the village. Having parked, take the short walk up the hill in the direction of the village, and then you can enter the Reserve from two access points: one is a footpath between the cottage closest to the river and the river itself before crossing over the bridge; the other is over the bridge and then take the first right and walk up towards the cemetry. There is a footpath entrance facing you as you go up the hill, and a futher one at the top of the hill past the cemetry. It is a walk of about a mile to the reserve itself but there is plenty to see on the way as you will enter woodland immediately from the access points. There is open access to Allt y Benglog throughout the year. This nature reserve is not suitable for wheelchair users or for prams and pushchairs. The terrain is steep, slippery and rough-going in some places. There are no facilities at the reserve but Dolgellau has shops, cafes and toilets. The public toilets at Rhydymain have been closed for a considerable time. The woodland at Allt y Benglog is typical of the many Sessile Oak woods found in rocky gorges in this part of Wales. They all have one thing in common: high humidity. This derives from two sources: high annual rainfall, and fast-flowing streams that create spray as they rush down into the valleys below. Dense tree canopies prevent evaporation during the summer, creating an environment that is ideal for mosses, ferns, liverworts and lichens in particular. A moist enviroment is also ideal for many insects, which in turn is why so many visiting birds make these woodlands their habitat-of-choice for raising families during spring and summer. With the precipitous drop in the number of birds arriving in Europe each year, it is good to know that Wales has so much to offer in the way of ideal breeding habitat for those that do manage to complete their long journeys safely. Migrant breeding birds that arrive and swell the resident bird population at Allt y Benglog include Pied Flycatchers (Ficedula hypoleuca), Wood Warblers (Phylloscopus sibilatrix), Tree Pipits (Anthus trivialis) and Redstarts (Phoenicurus phoenicurus). The drumming of the Great Spotted Woodpecker (Dendrocopos major) can be heard from spring onwards, and along the river look out for Dippers (Cinclus cinclus), Grey Wagtails (Motacilla cinerea); and if you are really lucky you may catch a glimpse of a Kingfisher (Alcedo atthis) on the larger River Wnion as it wends it way down to Dolgellau to join the Mawddach. Allt y Benglog has a carpet of Wood Sorrel in early spring, but other plants to look out for that are typical of this kind og habitat include Lady's-mantle (Alchemilla vulgaris), Water Avens (Geum rivale) and Wild Angelica (Angelica sylvestris) which grows on the steeper, rocky parts of the reserve. Closer to the river, you can find Ramsons (Allium ursinum) and the lovely little Town Hall Clock (Adoxa moschatellina). In high summer the reserve has impressive displays of Meadowsweet (Filipendula ulmaria). Two rare (for Wales, at least) plants in the SSSI are Common Rockrose (Helianthemum nummularium) and Mountain Melick (Melica nutans). 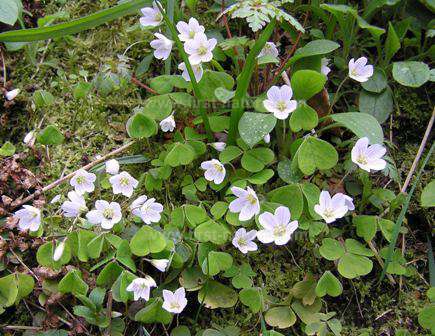 Mosses and liverworts really thrive in this environment, and Allt y Benglog has a number of scarce and rare species. Of the latter, Dichodontium flavescens is very rare and grows in the soil and gravel on the edge of the stream. Other unusual species to look out for include Hedwigia integrifolia, Plagiothecium laetum and, on rocks, Radula voluta. Just outside the reserve there is a tree upon which grows a lichen called Biatoridium monasteriense. This is the only recorded site of this particular lichen for Wales, and it was discovered there in 1960. Since then a programme of introducing particular host trees into the reserve has been pursued in the hope that this lichen might extend its territory. 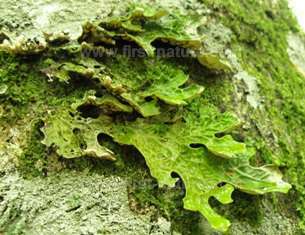 Similarly there is an Ash tree nearby which is host to another unusual lichen - Tree Lungwort (Lobaria pulmonaria). When dry (a rare occurence in this part of Wales!) this curious plant is grey, but once wet, it changes colour to bright green. Although not particularly accessible due to the steep terrain, this NNR is of great importance for a number of unusual plant species as well as for summer migrant bird populations. If you are ready for an energentic hike to see some of them, a visit in summer is sure to be well worth the effort.